Through her work with ERASE Racism, activist Nyah Berg is helping promote racial equality in school districts across the island. This was the bleak picture of Long Island described by David Rusk, an international consultant on urban and suburban issues, in 2002. He was hired by an organization called ERASE Racism, then in its second year of existence, to examine the state of segregation. More than 15 years later, activists including Nyah Berg lead the organization’s strenuous efforts to combat discrimination on Long Island. As the Education Equity Organizer at ERASE Racism, Berg is responsible for policy initiatives concerning Long Island education, which coincide with ERASE Racism’s broader goals of reducing racism on Long Island. She spends a lot of time engaging with the education equity working group,which is composed of around 180 members with a separate body of 10 to 20 people who go over the key policy priorities outlined for the 2018-19 year. 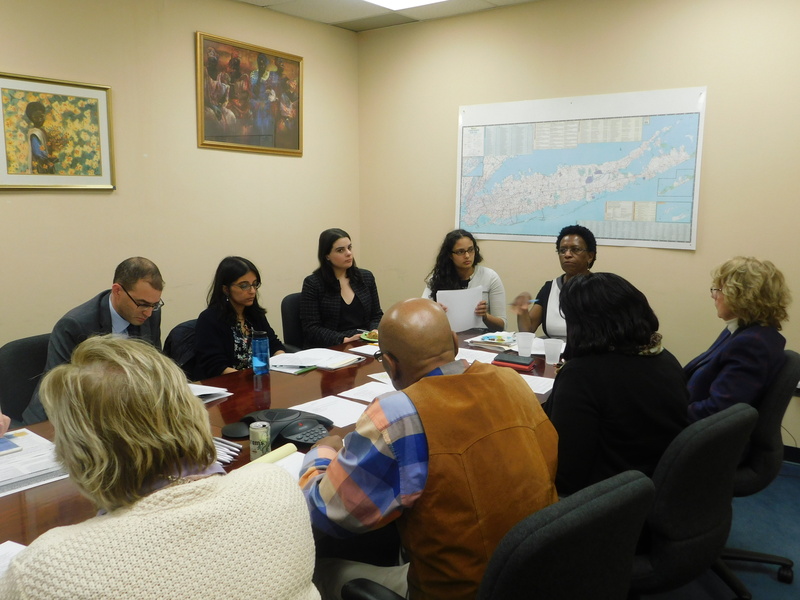 “The education equity working group is superintendents, principals, teachers, other community advocates, really working on this prospect to address the inequities in the school and community segregation that we see on Long Island and the known detriments to having such entrenched racial segregation,” said Berg, who graduated with a Master of Arts from Teachers College, Columbia. She also has policy and social analysis degrees. She tries to arrange these meetings and provide a space for like-minded people to come together. Their dialogue steers towards culturally responsive education, teacher-administrative diversity, and the need for diverse districts. The second major aspect of Berg’s job is working with students. 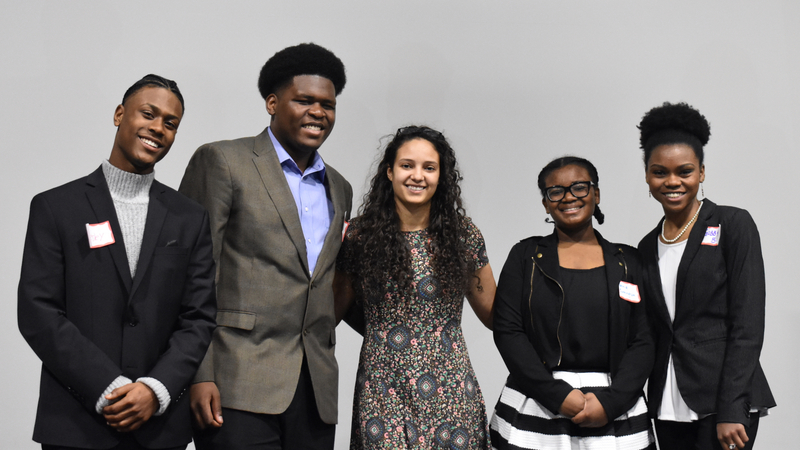 “I really worked to spearhead our student voices campaign which is a campaign that aims to uplift the student voice, to provide them with platform and support, for them to be engaged in the positive change they want to see in their schools and communities,” Berg said. Student outreach begins with trips to schools where Berg and others give workshops on the history of race and diversity on Long Island. She makes an effort to explain why race is an important social construct that’s worth studying. Once that baseline is established, Berg pivots to help the students take action themselves. In the workshops, student task forces are arranged to allow the students to invest their own thoughts in the strategies. Berg seeks out and meets with extra-motivated students twice each month. What’s important to her, though, is that the student’s thoughts are their own and not necessarily those of the adults in the room. “I wanted to give them a chance to not have the educators’ voice, to have their own voice and create their own policy priorities,” Berg said. During her time at ERASE Racism, Berg has been a part of numerous achievements, such as the collaboration between the Rauch Foundation, another Long Island community organization, and the Teachers College at Columbia last summer. The four day conference called Reimagining Education Summer Institute at Teachers College hosted 25 different educators. The forum included productive conversations on equity pedagogy and anti-racist leadership. Berg thought the conference was very successful. “The fact that we are able to bring such a large group to Long Island, and we’re having a reconvening meeting fairly soon, and so to have that opportunity was great,” Berg said. Berg feels one of her best events to motivate students occurred when she was able to bring 70 students together from 16 schools for a day-long conference that trained students in activism tactics. 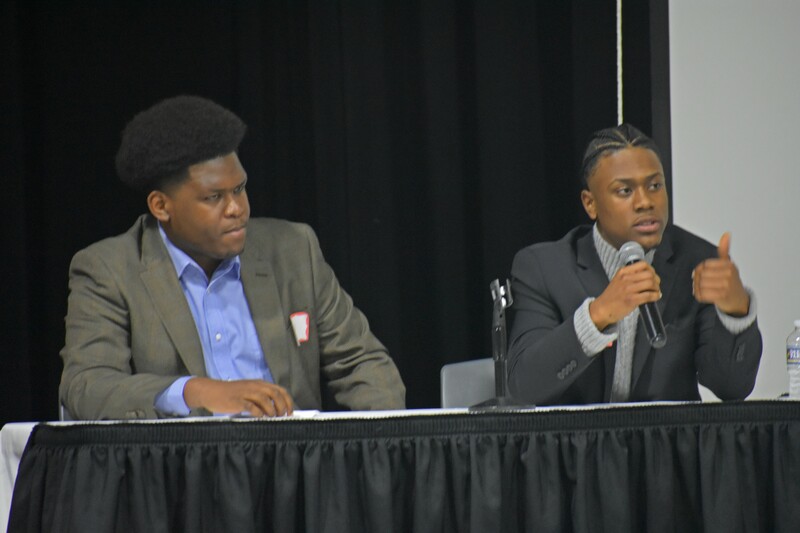 “That was a proud moment for me just to see the diversity in the room and also seeing all these students coming together and willing to be leaders and take action together,” Berg said. Elaine Gross, president of ERASE Racism, is very impressed with what Berg has accomplished at the organization. While Berg is pleased with the work she’s done, there have been challenges along the way. It’s easy at times to get caught up in conversation and discussion as policy advocates, but they don’t ultimately accomplish anything. Sometimes, there’s a gap between the policy and the implementation. She tries to talk to enough educators and personnel to guarantee that some positive changes occur. When Berg first went to school, she thought her career was heading towards creative writing. After taking education theory classes, she changed (her) course, becoming exposed to a culture she was mostly unfamiliar with. She moved from Massachusetts to Austin, Texas, and realized that her siblings were being exposed to a different education system than she had been. Her teachers were more hands on while her siblings didn’t receive as much attention. “My parents had to advocate a lot more for my siblings than they did for me in order to be successful in school,” Berg said. She got an inkling that something needed to change. During college, Berg wanted to intern at ERASE Racism but it didn’t work out with her schedule. However, she knew that was the path she wanted to pursue and finally she got the chance. Berg believes that ERASE Racism has made a lot of progress since Rusk conducted his study over 15 years ago. The research and analysis the organization does serves as a valuable asset for the public to use. While there is still more progress to go, Berg takes the positives out of events such as the riots in Charlottesville last year. Students responded to that event by writing letters and poems with their reactions. When negativity starts to pile up, it’s important to keep moving forward.